Our research helps make children better today and healthier tomorrow. Research helps answer a question. At Children’s, our research studies try to answer questions about the health of infants, toddlers, adolescents and teens. Some involve a medical treatment, such as a medicine, a medical instrument or a test, while others may focus on a technique or clinical process. By using what we discover through clinical trials and studies, we provide quality care to children and help ensure that doctors and staff at Children’s—as well as medical professionals nationwide—are informed about the most current treatments. At Children’s Healthcare of Atlanta, research is an important part of our mission. We work with academic and scientific institutions throughout Georgia to discover and develop treatments for the most difficult childhood medical conditions. Children’s and the Georgia Institute of Technology have a common interest in collaborative research that brings clinicians from Children’s, academic scientists from Emory University and engineers from Georgia Tech together to solve important problems in pediatrics and develop technological solutions for improving children’s health. With the formation of the Pediatric Technology Center, Children’s and Georgia Tech will provide extraordinary opportunities for interdisciplinary collaboration in pediatrics, creating breakthrough discoveries that often can only be found at the intersection of multiple disciplines. It is through generous donations that we are able to strategically foster these alliances that help enhance the lives of children and young adults. Our research covers everything from a better understanding of how a cell and its molecular machinery work (basic research) to understanding of a disease by looking at a large group of children with a particular disease (epidemiology). We partner with Emory University’s Rollins School of Public Health on population studies related to children. By looking at potential trends in children diagnosed with a particular disease, we hope to discover potential causes and ultimately develop new treatments. Basic research, also called bench research, explores how biological processes work at the cellular level. Children’s works closely with Emory University’s basic researchers to apply what they discover under the microscope to clinical care at Children’s. Translational research is the interface between basic research and clinical trials, also known as “bench to bedside.” This lab-based research builds on the information discovered in basic research and helps researchers understand how normal cellular functions change in various diseases. This understanding allows researchers to develop better treatments. Clinical trials are research studies that explore whether a medical strategy, treatment or device is safe and effective for people. They test the current, most promising treatments for diseases. The goal of a clinical trial is to identify treatment combinations that provide the highest success rates with the least amount of side effects. A clinical trial goes by many names, including research study, clinical study, drug study, research protocol, experimental trial, medical research or drug trial. Phase II: The drug or treatment is given to a larger group of people to see if it’s effective and to further evaluate its safety. Phase I: A new drug or treatment is tested in a small group of people for the first time to evaluate its safety, determine a safe dosage range and identify side effects. How are clinical trials developed and approved at Children’s? New trials are developed by a team of doctors, nurses and others with expertise in treating a particular disease. Some trials are organized and conducted at the local/institutional level, while others are created and administered nationally. The clinical trial team creates a new plan for how children should be treated for a particular disease. They use information from past clinical trials to develop a new plan that they hope will further improve a child’s health. Each trial is reviewed by many experts before it begins. 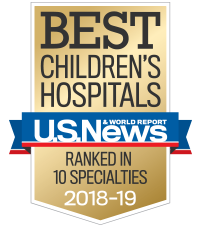 Children’s Healthcare of Atlanta reviews all available clinical trials and chooses to participate in studies that provide the best treatment options for our patients. Before we offer a clinical trial, it must be approved by both Children’s and Emory University’s Institutional Review Board (IRB). An IRB is a committee that reviews every new clinical trial to make sure it can be conducted safely and that the trial protects the interests and rights of every patient. Children’s board includes doctors, nurses, psychologists, statisticians and other experts. Why is it important for children to participate in research? Research studies are the building blocks that lead to medical breakthroughs and cures. New studies build on the results of past research studies and current treatments. Most clinical trials use adults, and the resulting products or techniques aren’t designed to meet the unique needs of children. Clinical research with children allows us to tailor our treatments for them. For example, research can help us find treatments for conditions that only affect kids or find ways to make medicine easier for them to take. While most studies aren’t done to help a specific child, there are still benefits to participating in research. When a child participates, he can have access to new treatments, get closer monitoring or testing for his disease, and potentially help future generations. How is clinical research different from standard care? Sometimes it’s hard to notice a difference. The people, setting and treatments may be the same, but the purpose is different. Research helps find a treatment for a large number of people with a certain condition and also helps answer questions that will affect the future of people with this condition. Standard care focuses on an individual’s needs. We want to provide your child with the best possible medical care. New clinical trials build on the results of past trials, treatments and information learned about a disease. A clinical trial may allow us to provide more advanced care. When your child is treated in a clinical trial, he receives the most up-to-date treatment available. Studies have shown that patients who participate in clinical trials do better than those children who are not treated on a trial. In some instances, your child may not receive a direct benefit from the trial, but your child may provide information that can help improve care for children with the same disease in the future. Yes. You can choose not to participate in a clinical trial. You may also choose for your child to be removed from a trial at any time. However, it’s important to consider whether your child should begin a clinical trial. A study can be seriously damaged by patients who change their mind in the middle of treatment and decide to have their child removed from the trial. Your decision about whether to participate in a study will not affect how the healthcare team feels about you or your child. Your child will still receive the same quality of care. How can my child participate in a clinical trial? Every clinical trial has criteria that participants must meet before they can take part in a study. Talk to your child’s doctor to find out if your child is eligible for an active clinical trial. Children’s has many clinical research studies that are currently enrolling patients. The doctors and nurses at Children’s can help you gather the information you need to locate a study that’s right for your child. Search for “Children’s Healthcare of Atlanta” and your child’s condition. How is my child protected during a research study? Research can have risks, but there are many people who review a study in detail before any children are enrolled. Most research studies go through multiple stages of testing before the procedure or medicine can be used on children. At Children’s, the Institutional Review Board (IRB) must review and approve a research study before it can start. The IRB makes sure children’s rights and welfare are protected. The board includes doctors, nurses, psychologists and statisticians, among others, who make sure research is done the right way. Researchers at Children’s follow clearly defined government rules for protecting patients enrolled in research, including special protections for children. During the study, researchers will review the information learned from the study. They will tell you if they find that it’s not safe for your child to continue in the study. If this happens, your child will be taken out of the study immediately. You can take your child out of the research study at any time. If you decide to remove your child from the study, it will not affect your ability to access standard care for your child in any way. What questions should I ask before deciding to join a clinical trial? Which treatment do you advise and why? What is the chance the treatment will work? How will we know if the treatment works? What are the known risks of the treatment? How much will the treatment cost, and who will pay for it? How can I help prepare my child for the treatment? What alternatives are available for my child?